Exclusive MicroBrush™ fabric cleans deep into the grooves of your golf club. Microfiber fabric absorbs over 600% of its weight in dirt, grime and water. Are you interested in a promotional golf product? 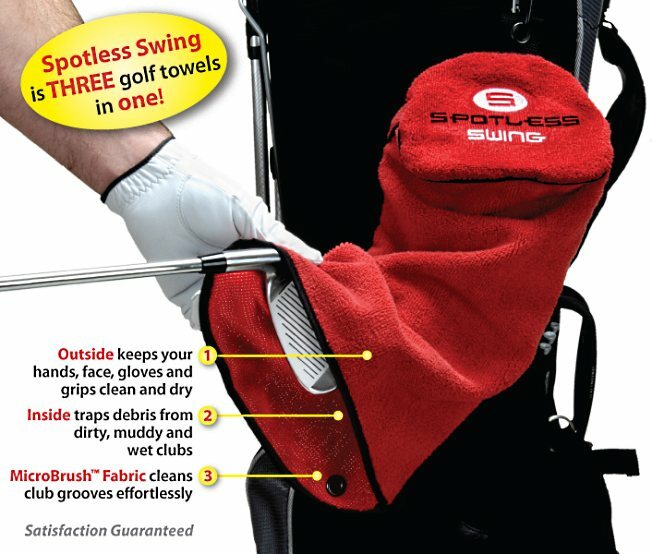 Click here to learn about custom logoed Spotless Swing golf towels.